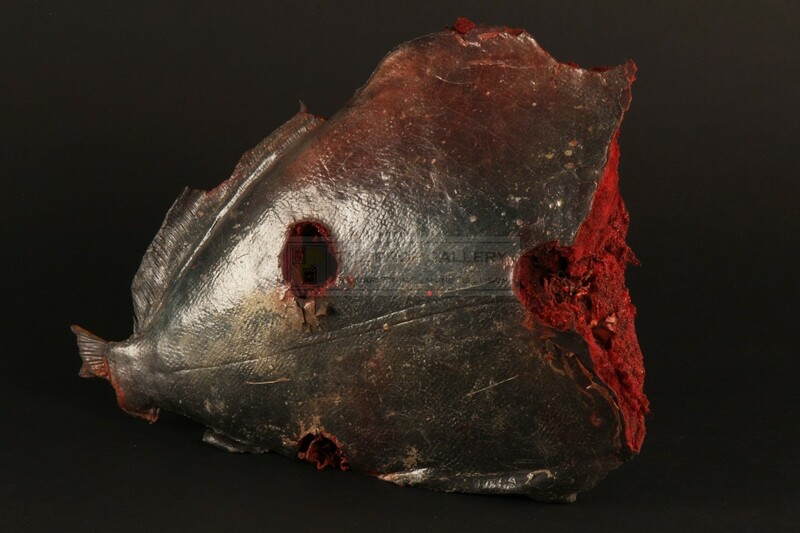 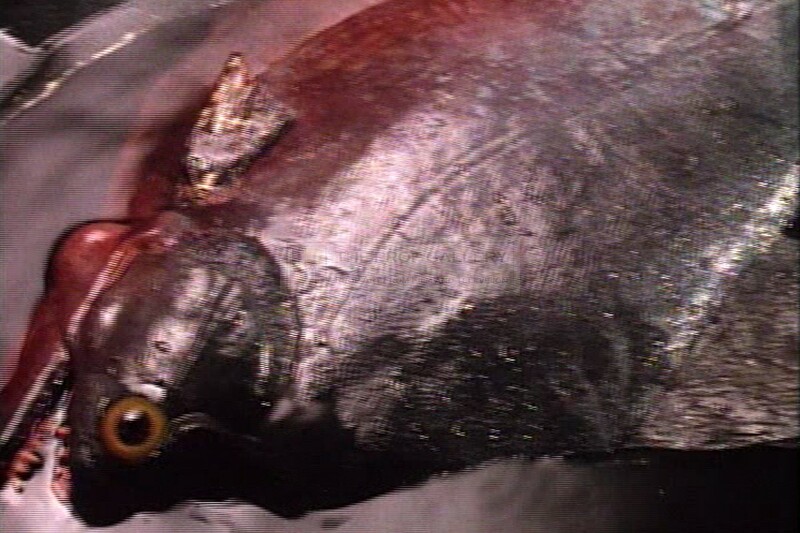 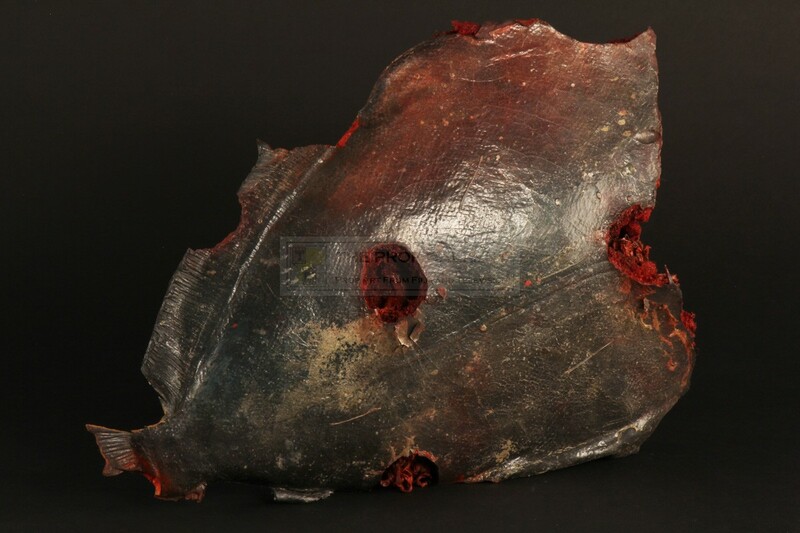 This severed piranha body is one of a number created by the production, constructed from foam rubber the prop head features a scaly finish with blood red hue, entrails and holes where the piranha has been destroyed with intentional damage to the fins. 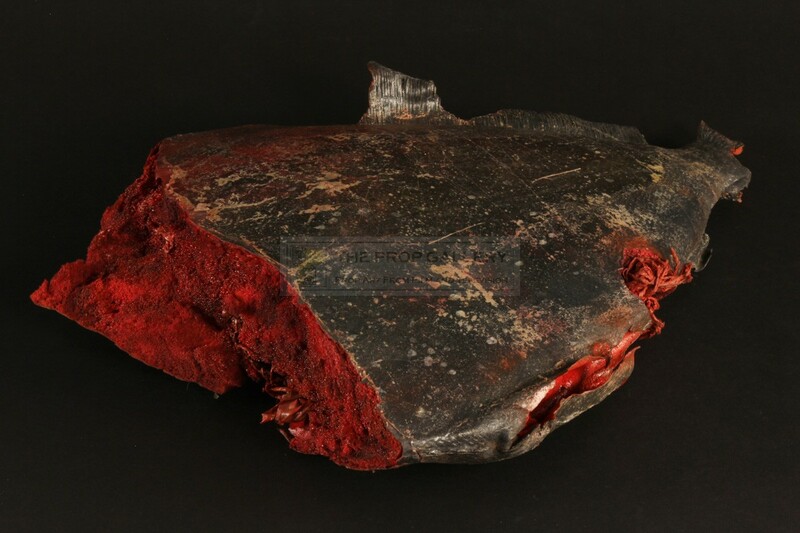 The body measures approximately 16" long and remains in excellent distressed production used condition, remaining supple to the touch with no deterioration, overall very fine. 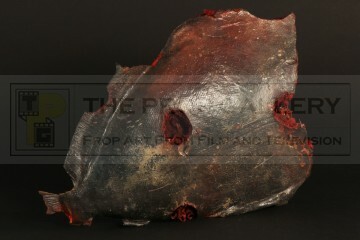 A rare and highly displayable artefact from this memorable picture.